The Wall tells the story of the Warsaw Ghetto during the second world war, from the creation of the wall that formed its perimeter to the final savage thrust of noble—if ultimately hopeless—rebellion in which the Jews finally struck back at their oppressors. The story itself is inherently dramatic, based as it is on a true and monstrous period of history, but the most defining feature of The Wall is not the plot or the characters, but the way it is told. The entire book, from its editorial introduction to its final pages, purports to be extracts from the copious notes of Noach Levinson, a citizen of the ghetto who becomes its de facto archivist. The opening pages, written in the style of an introduction by an outside academic, describe how the archive was found, and give us a first glimpse of Levinson through outside eyes. The remainder is structured as an assembly of different notes, with each passage marked with the date of its occurrence, the date of its recording, and the source of the material, though every word with very few exceptions is supposed to be written by Levinson. It’s an interesting structure, giving the impression of something between an oral history and a non-fiction account, and the frequent use of dates helps situate the reader in the broader story. Occasionally notes from other “entries” are inserted as asides to add context, thereby circumventing one of the challenges of the epistolary novel, with its rigid limitations of chronology and perspective. 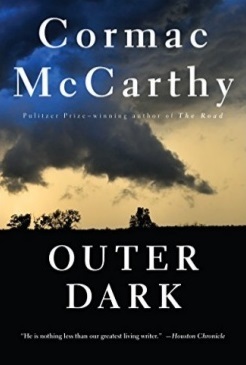 There are times where the format can be a bit distracting, and while I admire Hersey’s commitment, I occasionally wanted him to just write the novel in a more traditional way, with multiple POV characters undergoing experiences in real time, rather than having everything filter through Levinson’s notes. However, it’s not fair to judge a book on something it’s not, and I have to say it held my interest, and the second half moved much quicker than the first. Hersey apparently wrote a non-fiction account of Hiroshima, and given the talent for historicity he demonstrated in The Wall, I intend to check it out. So begins the prologue of Thomas Wolfe’s Look Homeward, Angel, five free-flowing paragraphs of image-clotted prose, without a single plot point or character in sight, and instantly my mind turns to the Dark Tower. Readers of King’s epic will recognize the line—even with the original leaf in place of the rose—alongside the lamenting cry of “o lost” that sounds throughout the story. At first I wondered why King chose this book to mirror in his series. On the face of it, it doesn’t have much in common with his macabre fusion of oat opera and high fantasy. Far from a genre piece, Look Homeward, Angel is unapologetically “literary” in style and content, a long-limbed Bildungsroman that shuffles sideways through its thin narrative, favoring florid digressions and subtle characters studies over anything as coarse and tangible as a plot. And yet, as I read the book and sank deeper into its style, I started to see the peculiar ways in which it and the Dark Tower are alike. For Look Homeward, Angel is really a story about grief: grief for loved ones who die, in part, but mostly grief for the past, and for a childhood spent and squandered and inevitably lost. Likewise, the Dark Tower, underneath its industrious world-building and horror fantasy trappings, is a lament for a world that has moved on. And while Roland’s relentless quest for the Tower is driven by a need to restore order, there is a sense of futility that underpins the journey—a point driven home by its divisive ending. It’s easy to accuse books like Look Homeward, Angel of being all style and no substance, exercises in pretension that wallow in their opacity, verbiage for verbiage’s sake. I’ve read books like that, and I’m not a fan. But there’s more here than simply stylish prose—though Wolfe is without peer at composing sentences of symphonic richness. The characters are keenly felt, and their flaws and interactions are painted with a storyteller’s eye for detail. Though set over a century ago, much of it feels surprisingly contemporary, if not in its setting or technology, then at least in the problems that emerge in a single house shared by too many people, and the oscillating love and fury that families often excite in one another. 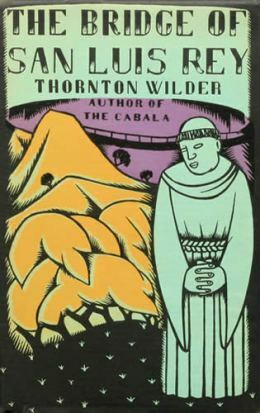 I read Look Homeward, Angel at a comparatively relaxed pace, putting it down partway through to read other books in the interim. I think this helped me more fully appreciate it, as it gave me time to approach it on its own terms. I enjoyed it more the more I read, and though it seemed daunting in its first hundred pages, by the end I found myself feeling sad that it was over—fitting, I suppose, for a book about grieving the past. It’s been a couple of years since I read I, Claudius, but I remembered liking it enough to request Claudius the God from the library, and the first few pages wasted no time in reminding me why. The story picks up where I, Claudius left off. While the first book detailed the lives and reigns of Rome’s early emperors through the eyes of the stammering, sly, perennially underestimated Claudius, the second chronicles the reign of Claudius himself. 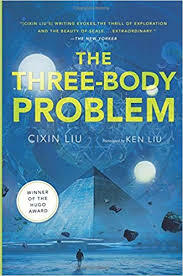 Written under the same conceit as a purported autobiography, it retains much of the flavor of its predecessor, reading more like a second volume of a single work than as a standalone sequel. Graves writes with supreme confidence in his subject matter. He adopts the persona of Claudius with impressive commitment, the style and substance of his prose lending a great sense of authenticity to the story. He clearly knows the history of the Roman Empire inside and out, and this knowledge comes across in the tiny details, and in references to historical figures great and small. While I, Claudius stayed largely in the confines of Western Europe, Claudius the God ventures farther east, spending many pages chronicling the machinations of Herod Agrippa in consolidating his grip on the Jewish throne. There’s also a recurring reference to Christianity, which in Claudius’ eyes is little more than a bothersome sect with bizarre practices. It’s interesting to consider how Claudius would view Jesus, and Graves paints his reaction in mingling tones of amusement and contempt for a figure he doubtless assumed would be a footnote in history whose presence he would easily dwarf. Writers of historical fiction walk a fine line between drowning their reader in explanatory text and stranding them in a world they little understand. This is especially true for books like this one, which don’t merely adopt a historical setting, but set out to retell the stories of men and women who actually lived. Graves strikes the right balance here. While I occasionally got lost in the thicket of Roman names, particularly while Claudius described some finer points of palace intrigue, I generally had a good sense of what was happening politically and socially, and why people were acting the way they were. Descriptive passages felt authentic, less the shoehorning of key details than the lectures of a ruler with a solidly academic bent, which the real Claudius had. The story itself isn’t quite as engaging as I, Claudius, but I wouldn’t fault Graves for that—when you’ve got a guy like Caligula running things in book one, a steady hand at the rudder doesn’t allow for quite as much intrigue. Still, I read it quickly and with pleasure, and even find myself considering a reread of I, Claudius at some point. This book is insane, even by Jules Verne standards. The year is 1865. The civil war has been fought and won, and the Union’s crack team of artillery scientists is 1at a loose end. They’ve spent the last several years developing new and exciting ways to kill each other, and now they’ve got a miserable stretch of peace on their hands. Fortunately, their intrepid president, Impey Barbicane, has a solution: build a giant cannon and shoot a bullet at the moon. The United States jumps on Barbicane’s proposal with gusto, and soon the whole country has shoot-the-moon fever. Not to be outdone, a charismatic Parisian named Michel Ardan joins the venture by volunteering to ride inside the bullet. His thoughts on the whole thing are wonderfully cavalier—when asked how he’ll return to Earth once his bullet—a decidedly one-way mode of transport—collides with the moon, his response is simple: he won’t. “Not on the mountains,” barked his opponent, not wanting to cede the point. Mostly, though, the book’s charm shines through simply because Jules Verne loves science so. much. His outbursts feel like the literary equivalent of that dorky kid in math class with his hand thrust halfway to the ceiling, straining to be picked by the teacher to answer a question about quadratic functions. It’s that earnestness that carries the book. The narrative itself is slight, with only the most rudimentary plot: some eccentrics decide to shoot a bullet at the moon, they build a cannon,they fire it, the end. 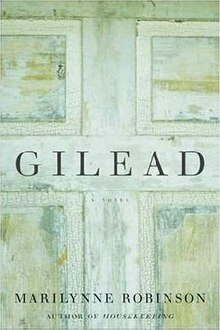 Books from that era in general show less interest in “raising stakes” to hold the reader’s interest, allowing for digressions and a detached narrative tone that can often seem almost heartless, as if the plight of the characters was not a story to be viscerally felt, but an experiment to calmly observe and record. Verne, with his perennial interest in science, leans into this trait more than most. The language itself I find hard to judge. As French isn’t my native tongue, I’m less attuned to changes in style and more or less accept the prose however it’s served to me. 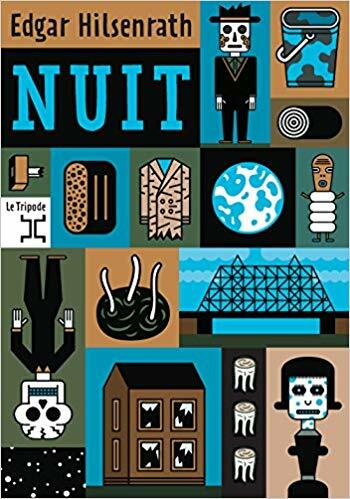 However, Verne’s earnest humor shines through even for a non-Francophone, and I found it genuinely fun to read. It may feel like a minor work compared to Voyage au Centre de la Terre, but it’s worth picking up. I wouldn’t go so far as to say I’m anti-vampire—an increasingly common stance in the post-Twilight world—but I do approach books about them with some degree of skepticism. They are, as a trope, a bit shopworn, and the sheer volume of stories about them have worn several crisscrossing ruts in the narrative earth. A careless write can all-too-easily slip into one, and find themselves unable to extract their story from its cliched depths. As such, I read the first pages of John Ajvide Lindqvist’s book uncertain as to whether I’d bother finishing it. Part of this reluctance came from the fact that I couldn’t quite remember why it was I’d requested it in the first place—due to a processing error at my local library, I received my copy about 18 months after I’d put a hold on it. What passing whimsy first sparked my interest I’ve no idea. In any case, I read the first chapter reluctantly, but after fifty pages or so my reluctance vanished. While it opens with a fairly common scene (shy protagonist, unpopular, beset by bullies), the story grows by maintaining the courage of its convictions. It treats vampirism not as an adolescent power fantasy, but as a terrible disease, which is how some of the earliest writers in the genre envisioned it. Another strength is that it delves into the psychology of one of the more peculiar roles in the vampire mythos: the familiar. For those less familiar (no pun intended; seriously, I only noticed this while proofreading) with vampire fiction, a familiar is a vampire’s human servant and protector, performing the tasks that the vampire, exiled from daylight, cannot. Usually, the familiar serves the vampire with the hopes of one day joining his ranks. In Let the Right One In, his motives are different. The familiar, a middle-aged man named Håkan, has no interest in becoming a vampire himself. Instead, he goes about his grisly duties in order to feed his own particular hunger, one that is, in its way, just as sinister as the vampire’s. I hesitate to comment on the prose, as the book is in translation from the Swedish, but he version I read was well-written, lyrical without being too flowery, though the occasional over-reliance on sentence fragments stuck out. 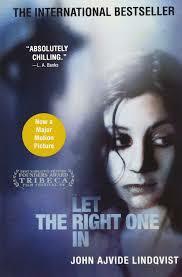 All in all, I’d recommend Let the Right One In for readers seeking a thoughtful, modern take on a classic trope, and those who can handle taboo subjects and a bit of gore.